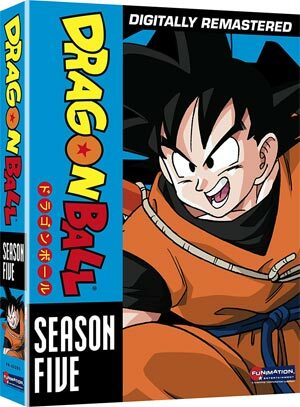 In 1996, the first 13 Episodes of the original Dragon Ball series were edited, dubbed in English, and put on FoxKids television. 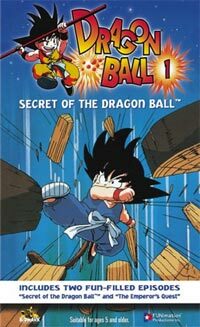 They are still available on DVD together as a Boxed Set named, The Saga of Goku. (pictured right) These episodes (and the first movie – Curse of the Blood Rubies) were dubbed by “Ocean Group”. You can still pick up this original cast dubbing from Amazon – It is considered family-friendly. Click on the image left. 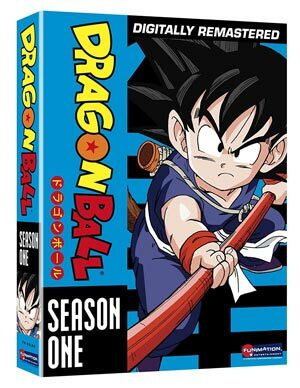 In 2001 … Funimation started dubbing the episodes that weren’t released earlier. The also went back and dubbed Season 1 with their own voice casts. Those DVD’s are below on the right. Season 1 is available from Amazon.com. 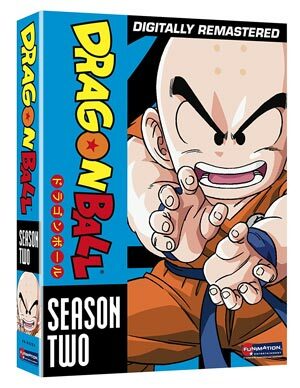 It includes episodes #’s 1-28. 16 – Find that Stone! 24 – Krillin’s Frantic Attack! 32 – The Flying Fortress – Vanished! 37. The Ninja Murasaki is Coming! 47. Kame House – Found! Pick it up at Amazon.com! This DVD Set includes Episodes 58-83. 69 Who is Fortuneteller Baba? 83 Which Way To Papaya Island? 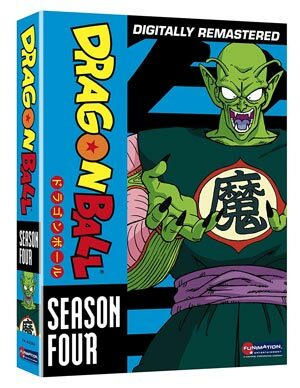 You can snag Season 5 from Amazon.com! 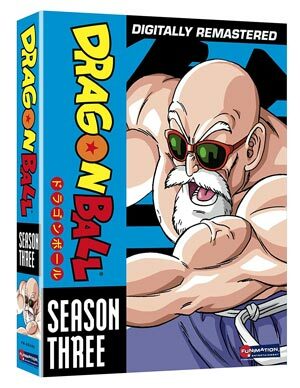 This DVD Set includes Episodes 123 to 153! Our email can be found at the top of the page.